Egg Hunts and Easter Treasure Trails! A good one for if the weather isn’t too good. Visit the National Trust website for full details, normal entry fees apply plus £1.50 to enter into the egg hunt. Not one, but two houses where Elizabethan and Medieval styles meet. There’s a moat, some beautiful gardens and wonderful countryside to explore. Normal charges apply plus £2 to join the trail, visit the National Trust website as above for full details. Walk around the 1930s styled gardens with lush lawns, terraces and water gardens. Normal charges apply but there is no additional charge for the trail. Again, got to the National Trust website for full details. Hunt for chocolate eggs in the Sculpture Garden and Garden of Surprises and in the afternoon treat yourself to lunch at the Orangery Restaurant. Visit the website for full details. Easter Egg hunt included in the ticket price. Sniff out some chocolate eggs aroundthe beautiful grounds. 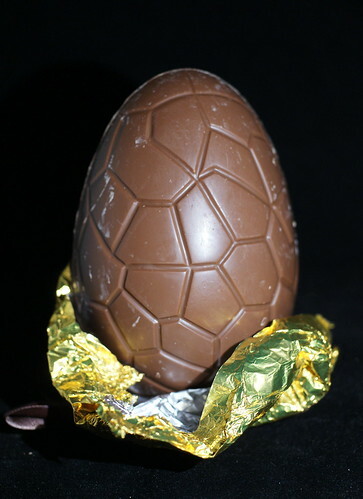 But if you aren’t quite lucky enough to find any then each entrant gets a Cadburys Easter Egg prize. Normal admission charges apply plus £2 for the trail. Visit the National Trust website for full details. I hope this has inspired some of you and you all have a wonderful Easter! This entry was posted on April 3, 2010, 7:30 am and is filed under Kent, Nottinghamshire, Oxfordshire, Tourist Board, Warwickshire. You can follow any responses to this entry through RSS 2.0. You can leave a response, or trackback from your own site.